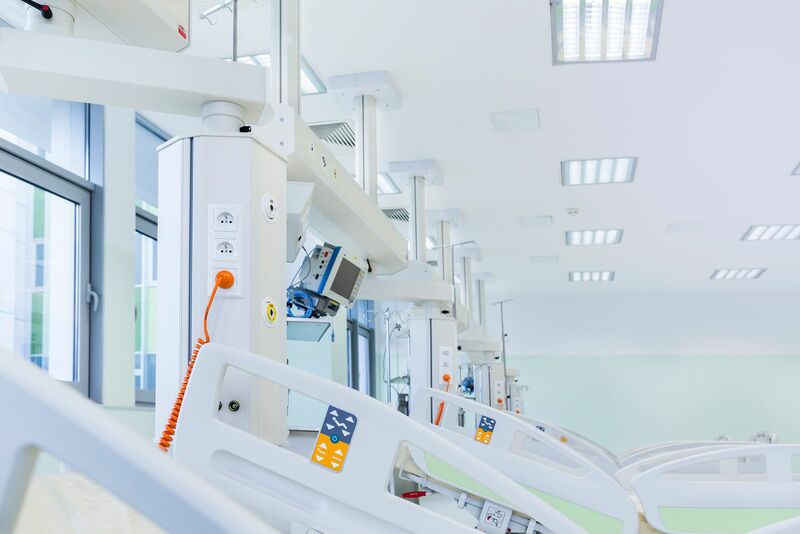 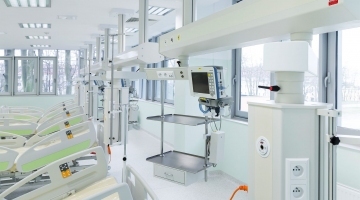 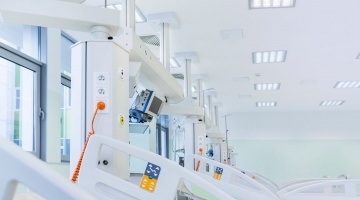 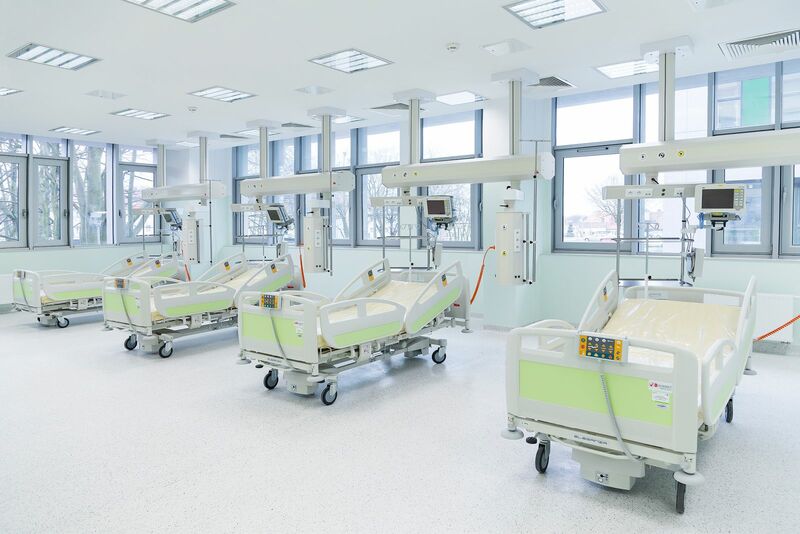 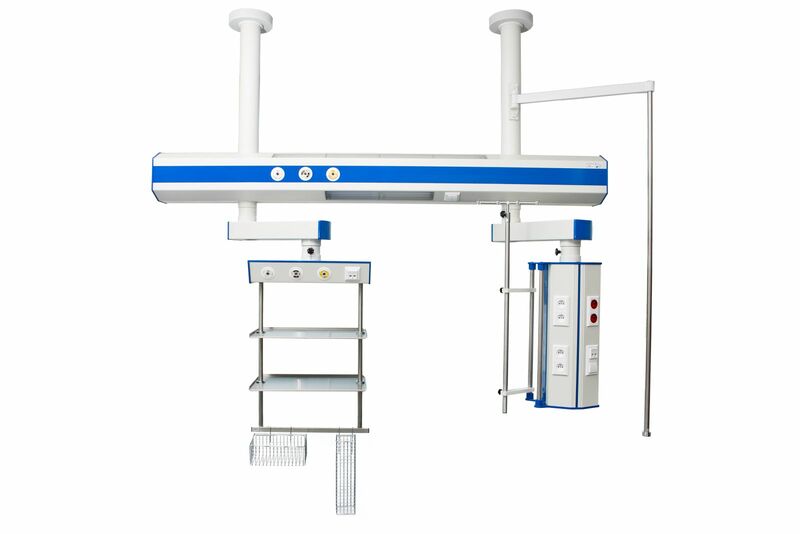 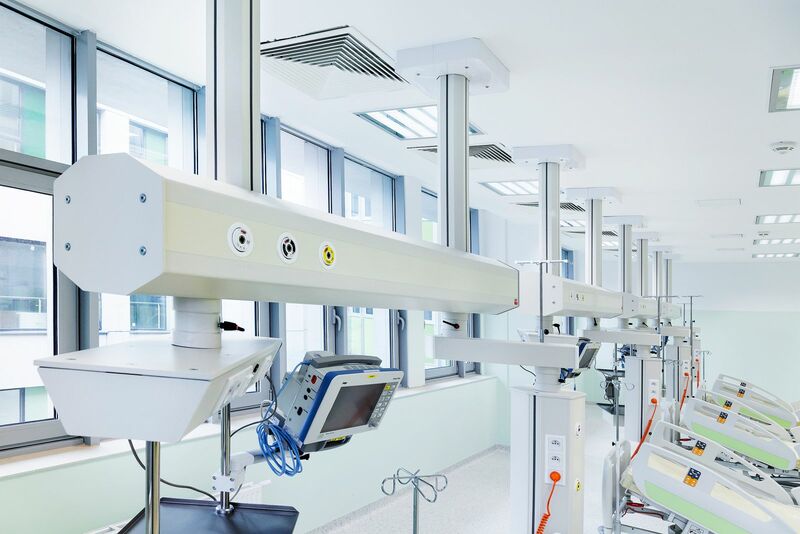 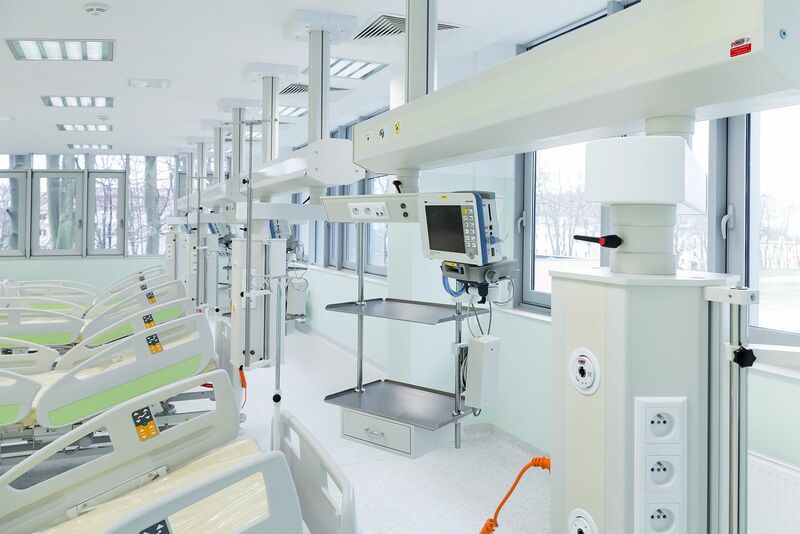 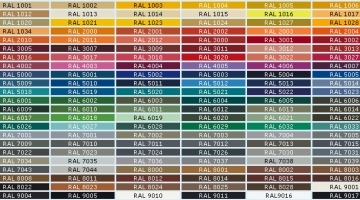 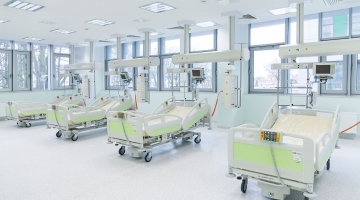 CAROcare supply beams are specially designed for intensive care units and operating theatres. 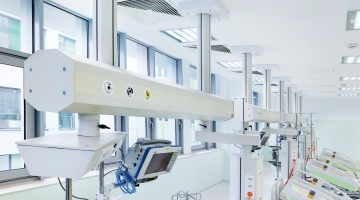 Horizontally oriented beams are supported from the ceiling with supporting tubes. 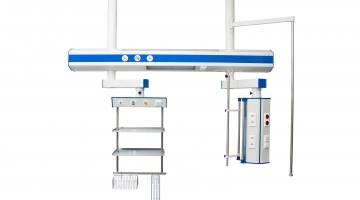 Rotating service heads and gliders with shelves can be fixed to the horizontal beams.